Though this may seem like the easiest part of the day, it has been a process (and still continues to be one) to get R to become comfortable when playing alone. She would love to have my attention at all times of the day, but obviously this isn’t feasible. I have made it my mission to work on getting her to play independently for longer periods of time so that I have time to do things around the house or to just relax. 1. Incorporate independent play in the daily routine and the child will begin to understand it as the norm and be more open to it. 2. Extend the independent play time by a few minutes every few days so that the child can ease into this time. It is important for kids to have long periods of time to play since it gives them more opportunity to play imaginatively. 3. 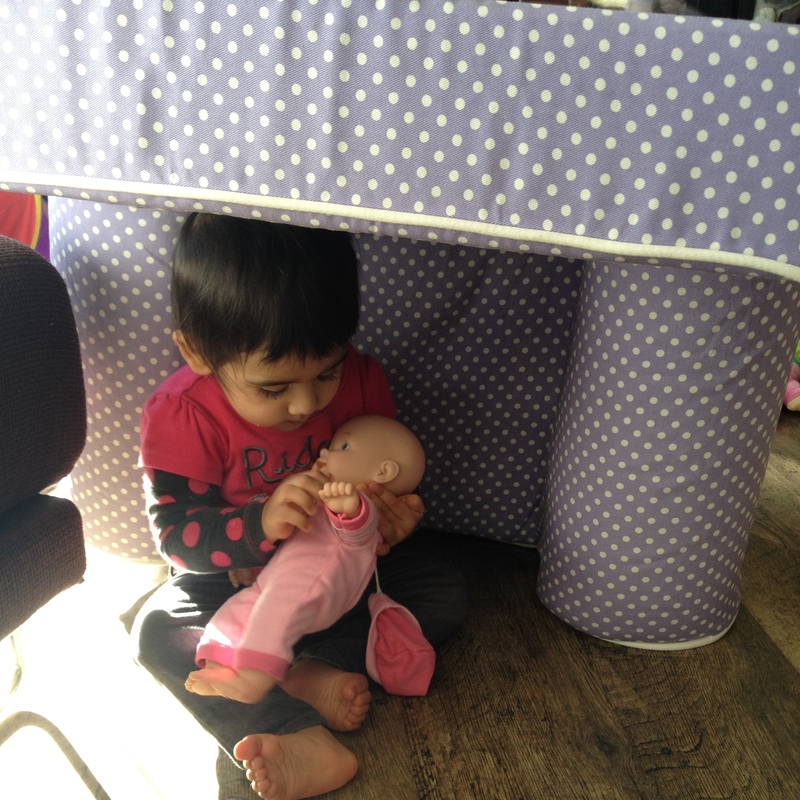 Create spaces close to where you are working so that the child doesn’t feel like s/he is alone. 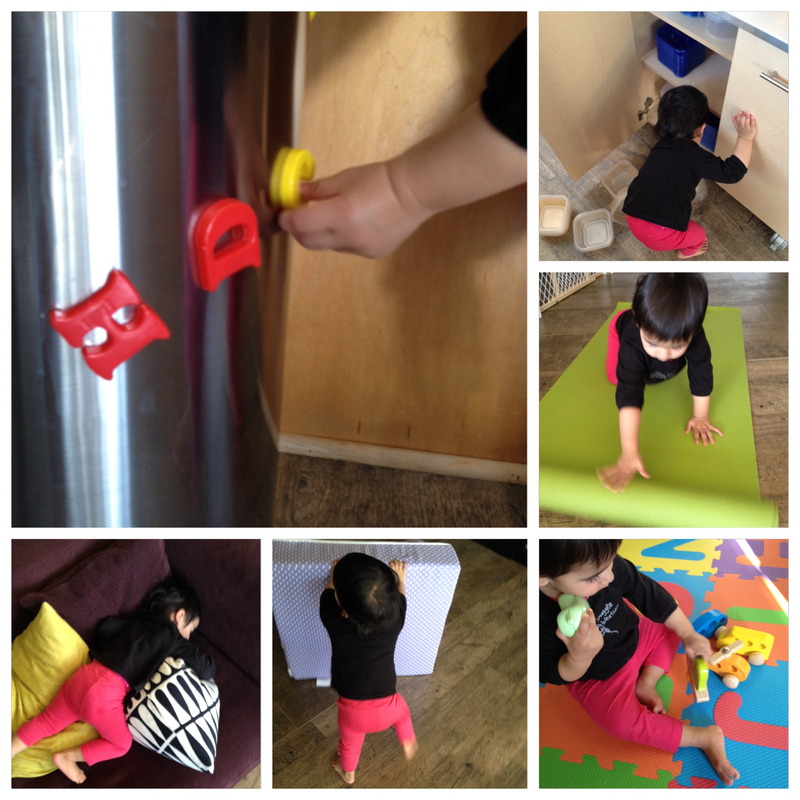 For example, in the kitchen, R has a designated cupboard filled with tupperware that she can play with. This cupboard is extremely helpful for when I am prepping in the kitchen and she wants to cling to my legs. 4. House a mix of toys in a bin so that they can be easily transported from one space to another as you need them. 5. Change the toys in the child’s play area every so often and reintroduce old toys to keep the play fresh, intriguing and interesting. I often put toys away that I haven’t seen R engage with for a while and bring out old toys that were previously put away. 6. Rearrange the placement of the toys to create invitations to play. 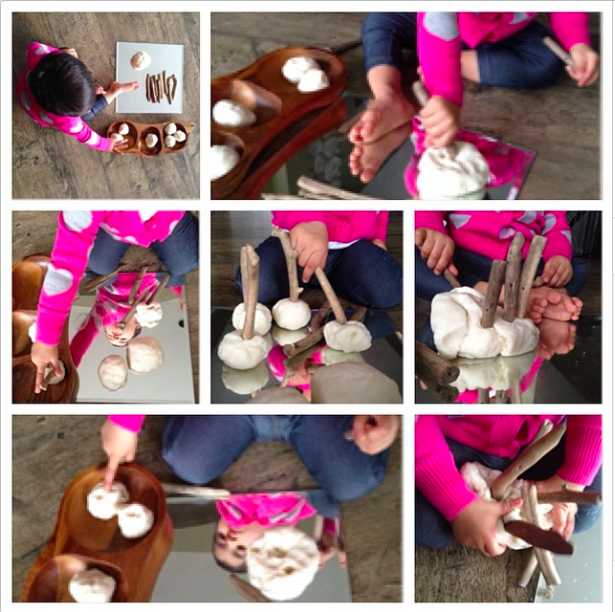 Children can be intrigued to play with items in different ways if they are presented beautifully. 7. Keep the play spaces flexible and the materials open-ended. Open-ended materials can be played with in multiple ways. 8. Bring nature into the space, such as rocks, sticks, flowers. Please note that these materials may not be appropriate for younger children who still put things into their mouths. 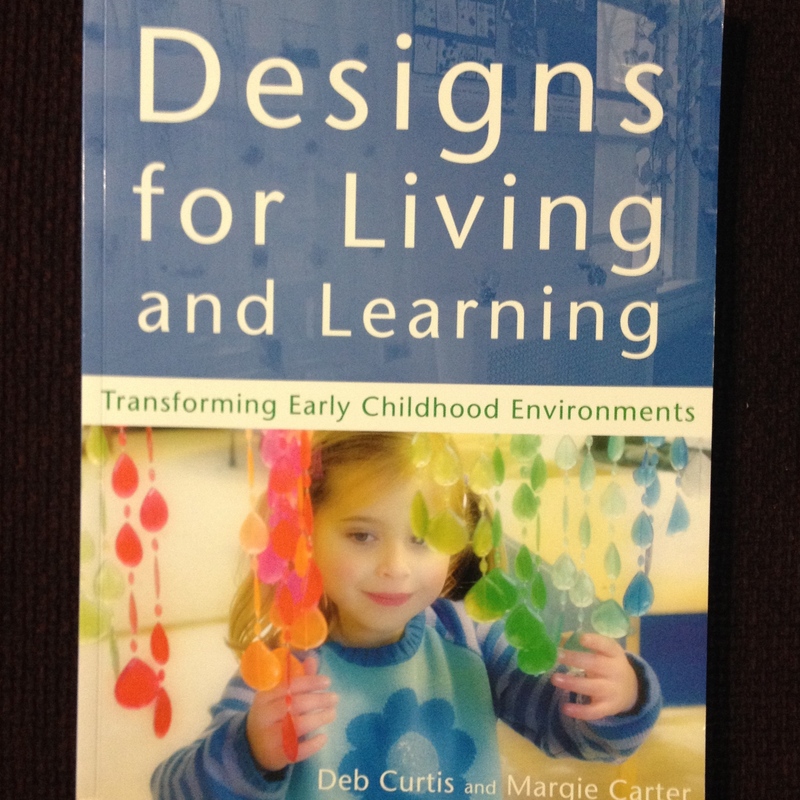 For a great read about transforming a child’s play space so that it is more inviting and intellectually stimulating, check “Designs for Living and Learning” by Deb Curtis and Margie Curtis. There are beautiful illustrations and some amazingly simple ideas to stimulate a child’s imagination. Sometimes independent play time doesn’t happen as planned. For the days that I need to make dinner and R won’t stop clinging to me, I have to pull out some extra things from my bag of tricks. 1. Give your child a novel item – this may be as simple as a paper towel roll, a pot and spatula, or an empty basket. 2. If that doesn’t work, I’ll pop R in her high chair and hand her some novel items while she sits in it. 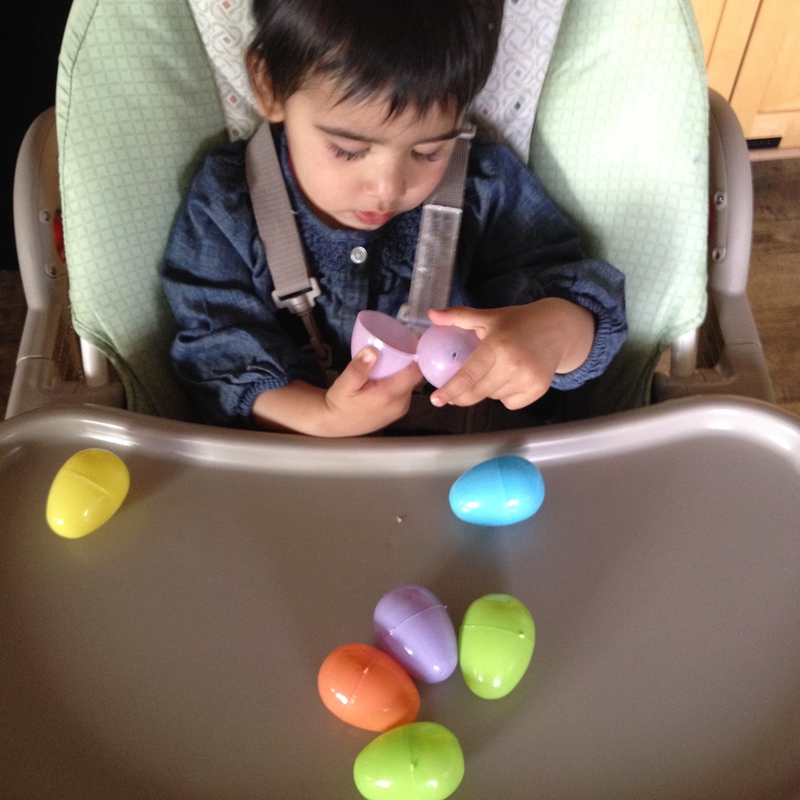 I have saved the plastic eggs I had bought for Easter and I hand these to her while she is in her high chair with some goldfish snacks in them. I don’t bring these out often. This way, the novelty remains! 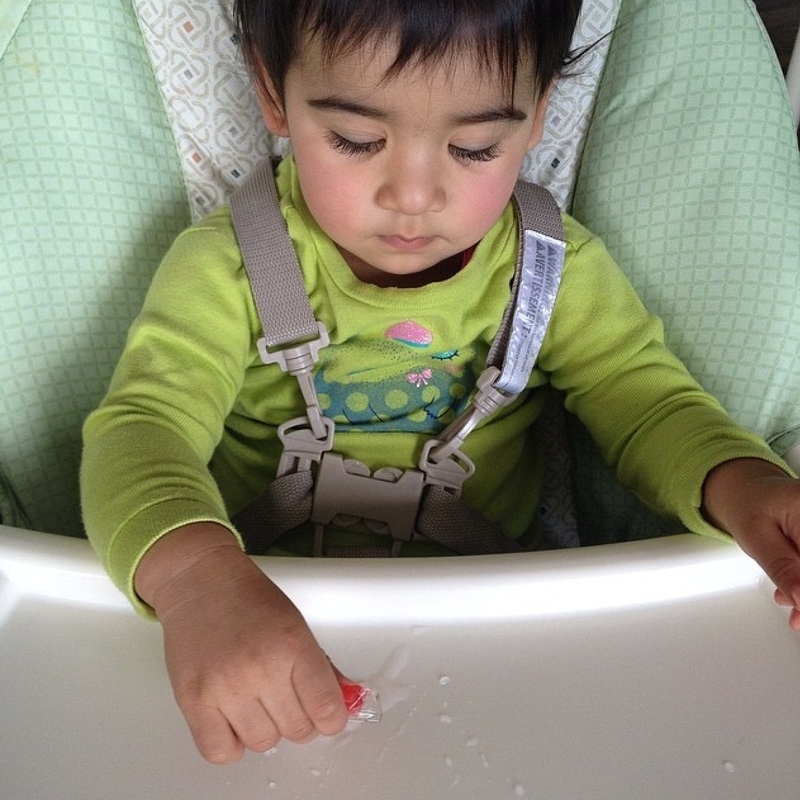 Another quick and easy thing I like to give R in her high chair is raspberries frozen in ice. She loves to dig them out of the ice and gobble them up. 3. If all else fails, it’s time for some Elmo and Sesame Street. She doesn’t get to watch TV often, so this is usually a fail safe way of getting dinner on the table. You are so organized about the activities and that is what I admire .Congratulations on your blog! I look forward to connecting with you! Thank you! I just took a quick peak at your blog, and wow!! You’ve got tons of amazing ideas. Looking forward to learning more from you! Love what you do! Really inspiring! Looking forward to your instagram and blog updates. Thank you so much. Glad we can connect! Love your “naufalisms” on your blog!! So hilarious! This is really useful, thank you! Am definitely going to try some of your ideas – love keeping something aside to hold its novelty for when desperate! !